So, I headed to my office today, and there was a package waiting for me. Yeah, my passport is back. And it has a rather valuable sticker on it! Yay! I am now ready to roll! If you have been following my rather quotidian escapades lately, I went to New York City to get a visa from the Royal Consulate of Denmark. This was because I am attending a conference-workshop in the University of Southern Denmark in Odense, next month. After that, I am proceeding to Budapest, Hungary to visit my family. So I had to apply for a Schengen visa, which is valid for both countries. Good thing that this happened after the enlargement of the Schengen region; otherwise, I would have to procure a separate visa for either countries. I like this idea of supranational entities. Hopefully, other areas of the world would be like this, but I can just hope. 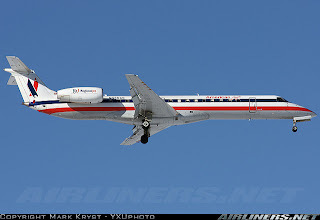 So, in less than three weeks, I will be riding in one of these (Aircraft photos courtesy of Airliners.net.). Yeah, I know, this is my trademark here-are-my-aircraft post. I did it when I was flying to the US when I first moved here, I also did it when I went to Quito and to Manila last summer, and most recently, I did it when I went for a backpacking trip to Peru. So I am doing it again. The top photo shows my first leg, from Buffalo heading to Chicago. This one on the other hand is the first long-haul segment, that will carry me from Chicago to London Heathrow. 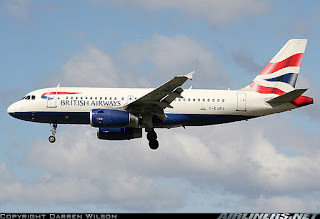 An Airbus A319 of British Airways will then connect me from London to Copenhagen. I get to see how the new Heathrow Terminal 5 looks like. Good thing I wasn't flying when they just opened the terminal; apparently, there were teething problems, such as mishandled baggage. 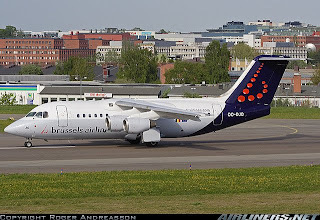 After the workshop, I will head to Budapest, so I will fly two segments on Brussels Airlines, via Brussels, on an aircraft similar to the one above. 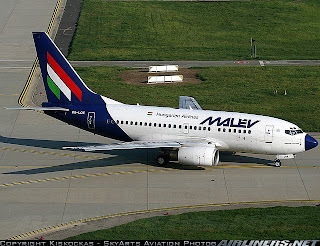 Then, when it is time to go home, I am flying to Paris, on Malev Hungarian Airlines. 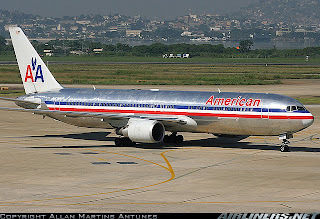 I will then connect to American Airlines in Paris, riding on a Boeing 767 like the one shown below. This plane will take me from Paris to Chicago, to which I will connect with another Embraer like the first photo I have shown you from above. So there, now everybody knows I am an airline geek, while most travelers don't even know what model of aircraft they will be flying on. And the good news about this, is that I get to earn American Airlines AAdvantage mileage on all segments of my trip, since British Airways, Brussels Airlines, and Malev Hungarian Airlines are all airline partners of American Airlines. The only thing that I am not looking forward to is transiting in London Heathrow Airport and in Paris Charles de Gaulle Airport. These two airports happen to be the busiest in Europe. Wow. I just realized that I haven't flown in which I checked a bag. This will be the first one in almost a year. I guess I usually travel light, with just a big backpack. 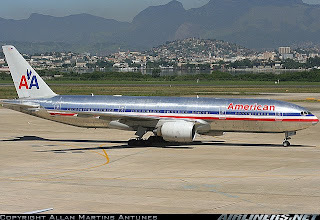 I haven't flown American Airlines in ages. I usually try to avoid stopping over the USA (unless I'm traveling there!) because of all the hassle. But for a few years, I flew Toronto - Philadelphia - Paris because it was cheap. Are Schenghen visas easy to get? True there. Flying to, from, or through the USA is a hassle, with all the (more than necessary) lines. The weird thing about US airports is that there is no sterile zone, thus, people who transit need to have visas, if they happen to be from countries who do need one. But then again, perhaps it is the country's sheer size. Say, if you're from Sao Paulo flying to Tokyo, chances are you have a domestic leg in between (i.e. Sao Paulo-Washington DC-San Francisco-Tokyo), so you are entering US territory, therefore a transit visa is needed. Schengen visas, in my opinion, they are easy to get if all your papers are in order. Mine was approved on the spot, what took time was for them to stick the sticker in my passport. This is the second time I applied for a Schengen visa, and both occasions were hassle free. hahaha... airline geek! I thought before that all planes were 747s. :) I started paying attention to what plane I'm riding when I found out you could make seat reservations over the Internet. You have to know kc what kind of plane it is and they make recommendations on the best seats (in economy, of course). But I think this is a very interesting post. Maybe I'll do this too for my next trip.